Hi Friends! 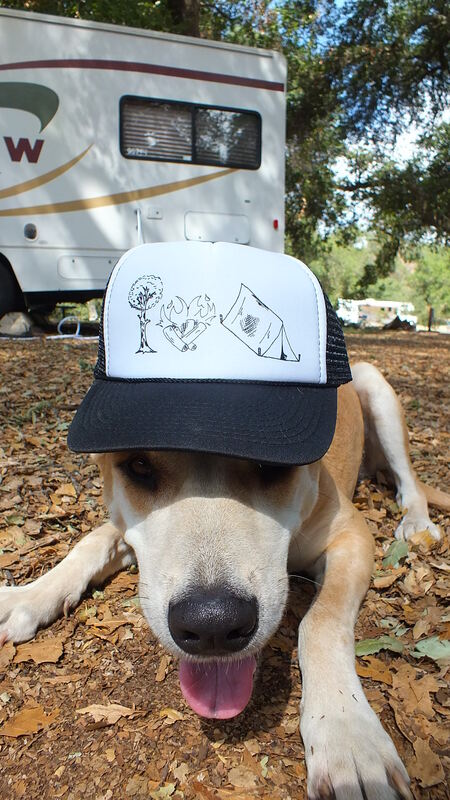 I’m super excited to announce the arrival of Girly Camping hats! These are awesome trucker hats with screen print, adjustable back, and flexible bill. If you are in the area of Ocean Beach in San Diego, stop by South Coast Wahines to pick one up! If not, check these out on Etsy. Below are the links. The above hat is called “I Heart Camping” and the below hat is the tradition Girly Camping hat. Woo whooo! Great hats! I really like what you’re doing here 🙂 Thanks for stopping by and liking my post!